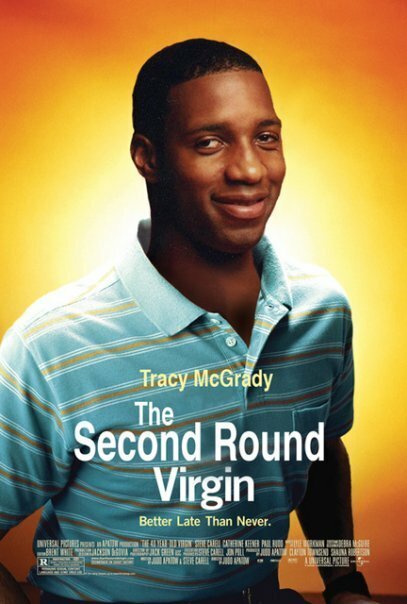 Without having to worry about the playoff jinx from T-Mac, the RockShow is gearing up for an unexpected run! Btw, I hear Lynzie Love feels the same way! With the Spurs losing last night and the Nuggs inevitable loss on TNT in LA tonight, the red-hot Rockets are positioning themselves for a chance at the #2 seed. And while some will say Houston's due for a letdown after just beating D-Howard, this team is playing with a swagger that Coach Adelman wants to ride into the post-season. She's pointig to Sucktown...the ATS Promiseland! 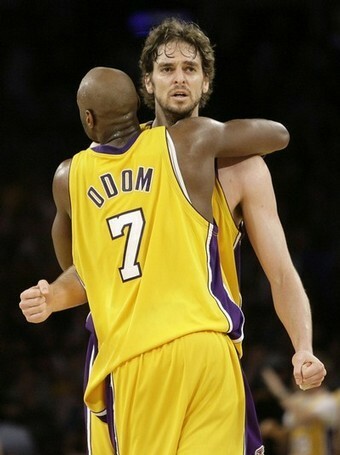 While these 2 know they need Bynum & are glad he's back, that doesn't mean they won't have a lil more fire 2night! Cause ulike these two, Phil's bigs have something to prove! Sorry for the short posts this week, but I've been kicking some knowledge in class and my tests are Saturday! So wish me luck! While Aubrey has taught me to stand with confidence, it always helps to have my Homeboys luv as well! This page contains a single article from April 8, 2009 9:48 PM. The previous days article was FREE DAILY HANDICAPPING & HOTNESS. The next days article was FREE FRIDAY NIGHT NBA ATS PICKS.